Water damage can strike anywhere and at any time, and our water damage Burleson unit at 911 Restoration Fort Worth is the best in the business at recovering homes from leaks and floods, thanks to our same day water removal services. 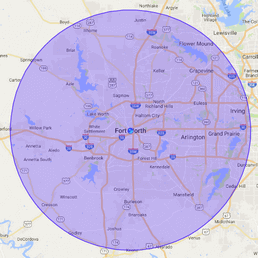 Our Burleson water removal specialists always put the customer first when it comes to all water emergencies. If you find plumbing or rain leaks, contact us right away, because we keep our offices available 24/7/365. We will respond within 45 minutes to start pumping water off your carpets with the latest water extraction and drying technology. Water damage can impact even the most thoroughly maintained home, especially if you live in Burleson, a city prone to extreme thunderstorms and severe weather. During the rain-filled autumn and winter months, the area’s low elevation and relatively flat landscape put homes at risk of experiencing flooding. 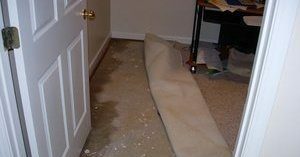 If a pipe burst or a ruptured hose causes a leak on your property, call our Burleson water damage restoration professionals for immediate same day services. You can count on our Burleson water disaster agents when you have a flooding emergency, because we trained to clean up all causes of floods, from minor mishaps, such as plumbing leaks, to bigger issues, like sewage backups. 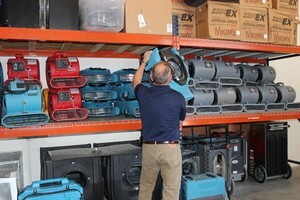 We use comprehensive water removal equipment, such as professional grade sump pumps, air movers and dehydrators, to quickly implement major water removal services. Our Burleson water cleanup pros have many years of experience conducting water disaster restoration work, and we are confident we can repair your property, no matter what the situation. Any time water damage occurs, we conduct a free home inspection as soon as we arrive on the scene, so call us today, and we will get to work figuring out exactly what needs to be done to prevent further damage. Our Burleson flood removal experts suggest that regularly inspecting and maintaining drainage and plumbing systems can significantly prevent water damage on your property. Make sure that your downspouts and gutters are correctly diverting rain away from your crawl space. It may also help to install a sewage back flow valve to stop returning water from becoming a toilet overflow. You should also insulate your pipes to keep them warm during the cold months, which will prevent bursts. Leaks can start anywhere on your property, and our Burleson water extraction aids will find all of trouble areas and fix your plumbing or roof, so call our water damage Burleson techs with 911 Restoration Fort Worth for help today!